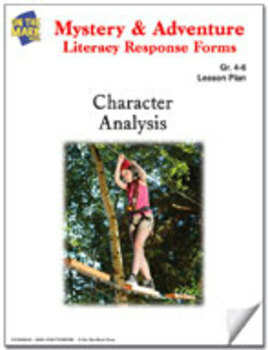 These worksheets focus the students' attention on the characters in the book, what they are like, how they live, and the ways they solve problems. Readers are challenged to identify similarities and differences between themselves and the characters, and between the characters and people they know. Characters are frequently the most memorable part of a story to children. Analyzing the behaviors of these characters helps bring them to life, and engages students in such thought provoking questions as "What would this character be like if he or she lived in my city, or even next door?"